DAVID LE/Staff photo. 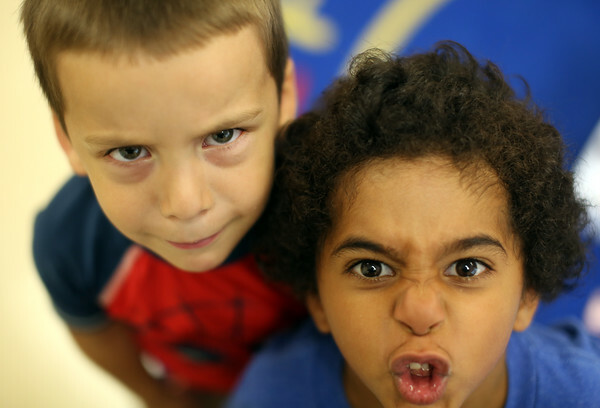 Four-year-olds Osman Tilton Lopez, left, and Miah Salazar, right, make funny faces for the camera. 8/24/15.